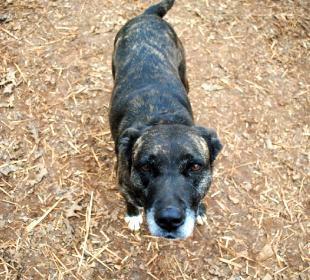 Lucy is a spayed adult female, brindle and white, 3 years, and around 60 lbs. We pulled Lucy from our local municipal shelter. Lucy is dog selective and seems to prefer the company of male dogs. Lucy needs time to acclimate to new situations and new people. 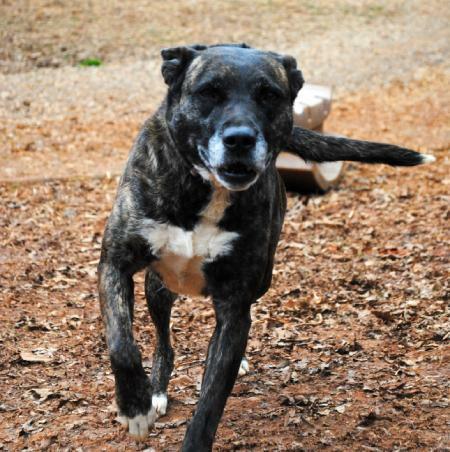 The best home for Lucy would be a home with an adult human and no cats or female dogs. She would love to have a home where her world is reliable and safe. We would love to discuss Lucy with you. 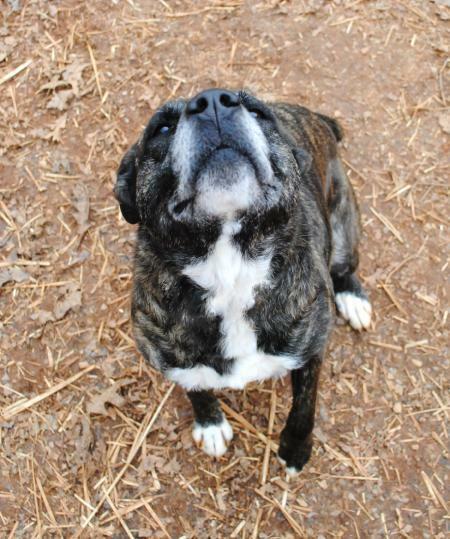 Our staff have worked with her since her intake and have gotten to know and love her. All of our animals have a lifetime commitment. If for any reason, the adoption does not work out, the cats and dogs are to come back to FCHS, which is a NO kill facility. The adoption fees help cover a portion of the care provided to the animals. Please visit our website under adoptable pets for a range of adoptions fees. All pets are spayed/neutered, vaccinated, heartworm tested (dogs) and placed on preventative, microchipped, and more. You can find our adoption application at https://www.plannedpethoodrockymount.com/adoptions. Applications or questions can be emailed to adoptions@plannedpethoodrockymount.com. Please email for faster response or come on by during our business hours. Please do not call, this may cause delay because we receive a high volume of calls each day and operate with a small staff. Please submit your application once you see a pet you are interested in. Adoption Center hours are Tuesday - Friday 12-6 and Saturday 11-4.